Early morning here in Sydney - made sure to get up about five thirty to attack the 40 meters madness. This morning I've noticed the operator had harder work to hear the EU stations. Must be the Friday evening in EU. Managed to get through about ten minutes after local six o'clock. Thanks guys on Amsterdam island - doing a great job. This morning I was able to work them on 30 m. Again quite easy and satisfying. 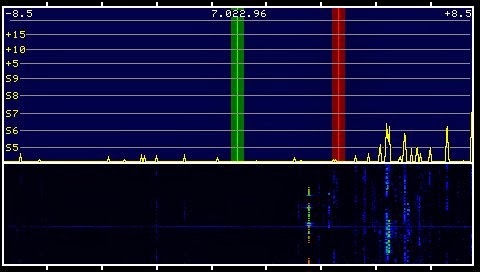 The CW operator was very good and was picking stations at great rate. As good as one can be. The team on the island is top notch. Can't understand some amateurs complaining about the "poor operators on the island". Gosh... if you complaining about the operators then guys read this: GET A LIFE..!! The number of low skilled ops calling the island is high. Will for sure try again in the next few remaining days. 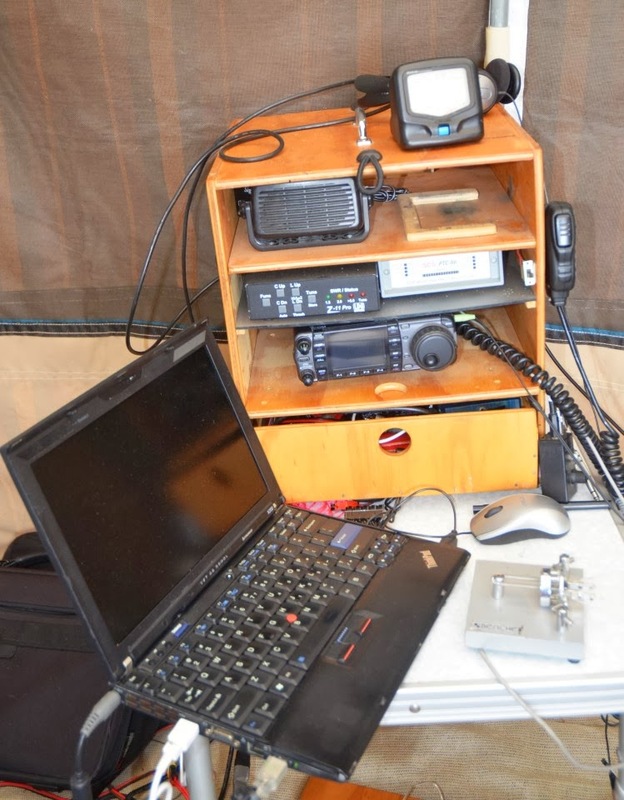 DX expedition FT5ZM Amsterdam Island. I've tried on Tuesday evening when we got back and the pile-ups were "legendary". Buckley's that day. 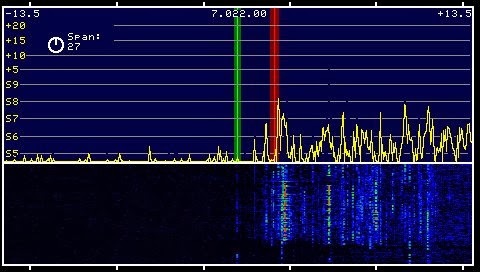 Next morning on 40 and 30 m... the same. This afternoon (Wednesday) I was able to work them with ease. I think that the worst effort was fourth call or so. Except the previous day on 40 and 30 when I called and called with no success. The relative short time I've spent on the chase I've witnessed absolutely terrible operating practices. 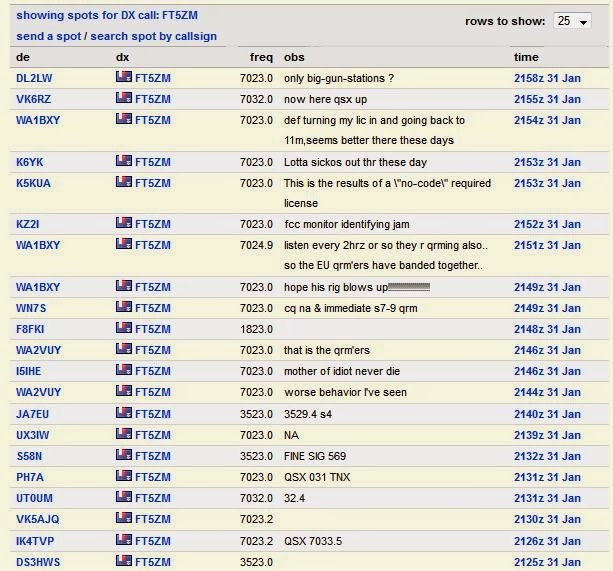 Ouch... Steve VK3TDX alerted me to the comments that other operators "uttered" on the DX summit. I'd say there should be separate exam and license for DX operators... eh? OK we all make mistakes, but some people have extra talent. Now I'm sitting on the balcony waiting for the 20 m band to open in the direction of the island. 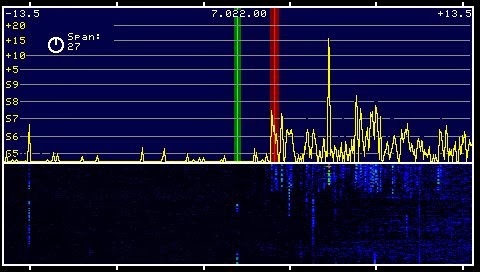 There are spots for the 14.023 frequency, but at the moment (mid afternoon) there are no signals. The VOAprop says that the band should be working... hmmmm..?? Portable DX in the country. Well we are back from "up north"... all relaxed. Again we camped at the friends farm next to Manning river. Great spot. Above is the "operating position" in the camper annexe. All toys in one box. Very convenient. 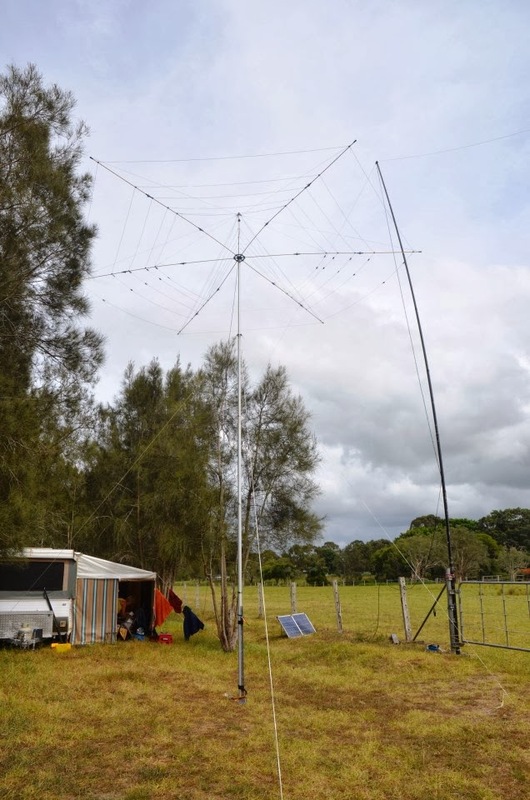 The antennas are: G5RV on the Spider Pole on the right.. Works really well from there... Maybe the fact that is just above the paddock fence helps... of is it the proximity of the river about 30 m to the left..?? The beam is: Folding hex. Incredible effective beam for its simple construction. I've finaly learned to unfold and fold it without "spitting the dummy" and worked out how to secure the mast so the whole erection and pack-up takes about one hour. The mast puts it about 8 m up. Note the rotator is "pure armstrong". A79ACR Igor on holidays in Seychelles, using his KX3 and fishing pole vertical. Look him up on his QRZ.com page... He was very weak here in VK, but due to the fact I had the beam and was in the country I was able to hear him. Here in Sydney the noise floor is much higher and I'd have no chance. Thanks Igor for a new one......!!! 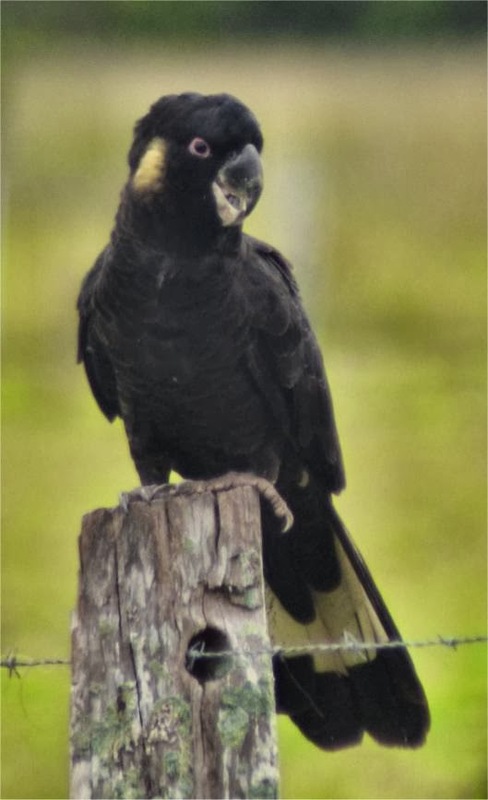 Visitor in our camp... I'd say this guy has talent for CW.